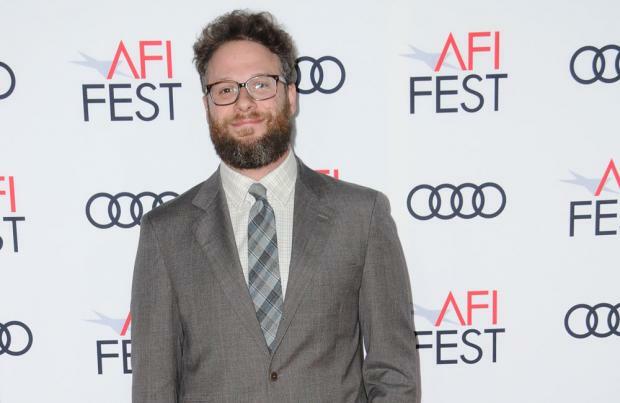 Seth Rogen, Joseph Gordon-Levitt and Alex Sharp have joined the cast of Aaron Sorkin's 'The Trial of the Chicago 7'. It was reported in December that the movie – which is set to star Sacha Baron Cohen, Eddie Redmayne and Jonathan Majors – had been put on hold in order for the filmmaker to concentrate on his Broadway play 'To Kill a Mockingbird'. However, the movie is going ahead and will be offered to buyers at the upcoming European Film Market in Berlin, according to The Hollywood Reporter. Aaron said in a statement: "I'm thrilled to be making a movie about one of one of the craziest, funniest, most intense, most tragic and most triumphant trials in American history. C-7 may take place in the late '60s, but there's no better time to tell this story than today." The 57-year-old filmmaker will write and direct the movie, which is being produced by Amblin Entertainment, founded by Steven Spielberg. The movie will be based on the 1969 trial of seven defendants who were charged by the federal government with conspiracy, following the counter-cultural protests in Chicago at the 1968 Democratic National Convention. Spielberg initially considered directing the political drama himself in 2008, but the film was delayed because of a writer's strike and he then couldn't find the time to take it on. The filmmaker tried to get the motion picture off the ground again in 2013, with Paul Greengrass attached to direct, but he moved on and the project was shelved due to budget issues. But Sorkin was later approached after he made his directorial debut in 2017's 'Molly's Game'.